African Australian Communities Leadership Forum (AACLF) Inc. welcomes the re-election of the labour government in Victoria last weekend. We congratulate Premier Daniel Andrews and his team for the win. As a representative body of various African Australian communities in Victoria, AACLF looks forward to working with the re-elected labour government over the next four years. We also stand ready to work constructively with all parties and stakeholders to strengthen African Australian communities and contribute to making Victoria a more prosperous and harmonious place to live for all. A key focus of AACLF and many other African Australian community organisations is the implementation of the Victorian African Communities Action Plan, which was launched in April 2018. We invite the newly-elected government to take steps to ensure the implementation of this plan is done in a timely manner and in line with the expectations of the broader Victorian-African community. AACLF is working in close collaboration with many other African Australian Communities in Victoria to support individuals, families, communities and all other stakeholders who are actively engaged in addressing the issues and challenges that are affecting Victorian-Africans. In particular, we see the need to multiply efforts and make more resources available to help address African youth disengagement, as a matter of priority. AACLF calls on all politicians, both at the state and federal level, to refrain from making public pronouncements that seem to vilify the entire African-Australian Community for the wrong actions of a few individuals. 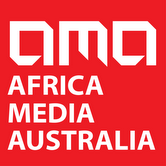 AACLF welcomes any interest from politicians, reporters and other media commentators to genuinely highlight and discuss issues affecting African-Australian communities and propose avenues for solutions without politicising the issues and creating fear and prejudice in the wider community against African-Australians, because of sensationalist media reporting and divisive political commentary.